Welcome to the Ministry of Tourism, Arts and Culture (MTAC). These terms and conditions outline the rules and regulations for the use of the MTAC tourism consumer website. By accessing this website we assume you accept these terms and conditions in full. Do not continue to use MTAC’s website if you do not accept all of the terms and conditions stated on this page. The following terminology applies to these Terms and Conditions, Privacy Statement and Disclaimer Notice and any or all Agreements: “Client”, “You” and “Your” refers to you, the person accessing this website and accepting the Ministry’s terms and conditions. “The Ministry”, “Ourselves”, “We”, “Our” and “Us”, refers to MTAC. “Party”, “Parties”, or “Us”, refers to both the Client and ourselves, or either the Client or ourselves. Any use of the above terminology or other words in the singular, plural, capitalisation and/or he/she or they, are taken as interchangeable and therefore as referring to same. Unless otherwise stated, MTAC and/or its licensors own the intellectual property rights for all material on this MTAC website. All intellectual property rights are reserved. 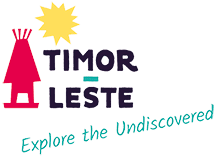 You may view and/or print pages from www.timorleste.tl for your own personal use subject to restrictions set in these terms and conditions. System wide accredited businesses except soliciting non-profit and fundraising organizations which may not hyperlink to our website. These organizations may link to our home page, to publications or to other website information so long as the link: is not in any way misleading; does not falsely imply sponsorship, endorsement or approval of the linking party and its products or services; and fits within the context of the linking party’s site. We may consider and approve at our sole discretion other link requests from the following types of organizations: commonly-known consumer and/or business information sources, associations, internet portals, educational institutions and trade associations. We will approve link requests from these organizations if we determine that: the link would not reflect unfavourably on us or our accredited businesses; the organization does not have an unsatisfactory record with us; the benefit to us from the visibility associated with the hyperlink outweighs the absence of MTAC; and where the link is in the context of general resource information or is otherwise consistent with content in the media or similar product furthering the mission of MTAC. These organizations may link to our home page, or to other website information so long as the link: is not in any way misleading; does not falsely imply sponsorship, endorsement or approval of the linking party and its products or services; and fits within the context of the linking party’s site. If you are among the organizations requiring prior approval and are interested in linking to our website, you must notify us by sending an e-mail to [email protected]. Please include your name, your organization name, contact information (such as a phone number and/or e-mail address) as well as the URL of your site, a list of any URLs from which you intend to link to our web site, and a list of the URL(s) on our site to which you would like to link. Please allow 2-3 weeks for a response. Any other description of our website or material being linked to that makes sense within the context and format of content on the linking party’s site. No use of MTAC’s logo(s) or other artwork will be allowed for linking without a trademark license agreement. We shall have no responsibility or liability for any content appearing on your website. You agree to indemnify and defend us against all claims arising out of or based upon your website. No link(s) may appear on any page on your website or within any context containing content or materials that may be interpreted as libellous, obscene or criminal, or which infringes, otherwise violates, or advocates the infringement or other violation of, any third party rights. Whilst we endeavour to ensure that the information on this website is correct, we do not warrant its completeness or accuracy; nor do we commit to ensuring that the website remains available or that the material on the website is up to date. The limitations and exclusions of liability set out in this section and elsewhere in this disclaimer: are subject to the preceding paragraph; and govern all liabilities arising under the disclaimer or in relation to the subject matter of this disclaimer, including liabilities arising in contract, in tort (including negligence) and for breach of statutory duty.